Kellogg Community College’s Branch County Community Chorus will bring the classic holiday music of George Frideric Handel back to Coldwater this month for a special Sounds of the Season “Messiah” Sing-Along. The event, which is free and open to the public, will begin at 7:30 p.m. Saturday, Dec. 13, at St. Mark’s Episcopal Church, 27 E. Chicago St.
Dr. Gerald Blanchard, music coordinator at KCC and director of the program, said audience members will be encouraged to sing with the choir. Audience members are asked to bring their favorite edition of the “Messiah” score. Anyone without a copy of the work will have the opportunity to be seated near another vocalist willing to share. 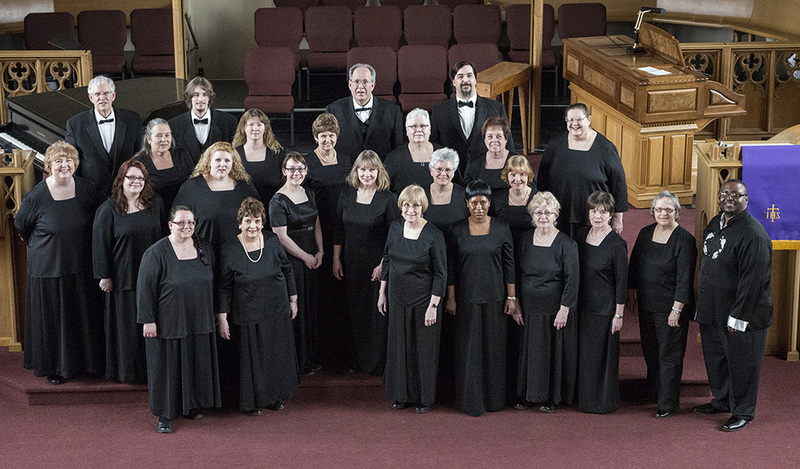 The BCCC is one of three residential choirs at KCC and regularly performs in the Coldwater area, including major productions at the Tibbits Opera House each spring. The group last performed “Messiah” as part of its annual Sounds of the Season performance at St. Mark’s in December 2012; last year it presented “Gloria & Other Settings” at the same location. For more information, contact Blanchard at blanchardg@kellogg.edu or 269-965-3931 ext. 2566 or visit http://bit.ly/branchchorus. For more news about Kellogg Community College, view our latest news releases online at daily.kellogg.edu/category/news-releases.